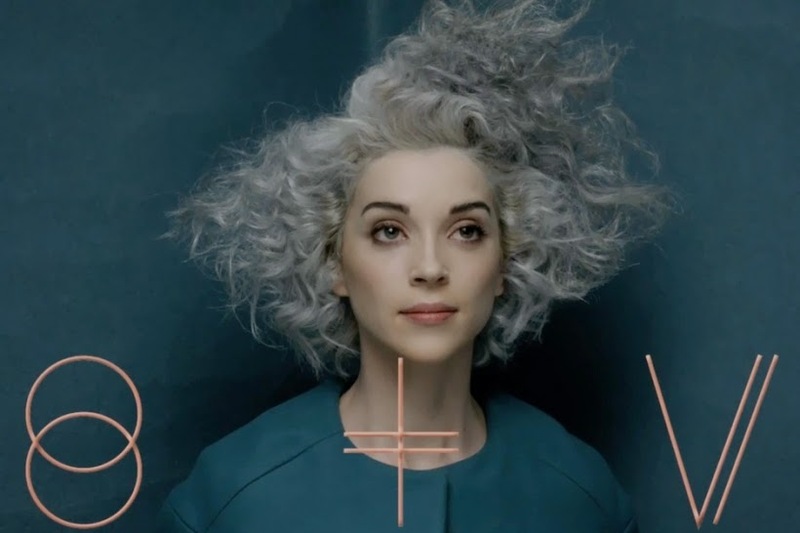 St. Vincent aka Annie Clark is pretty hip these days. 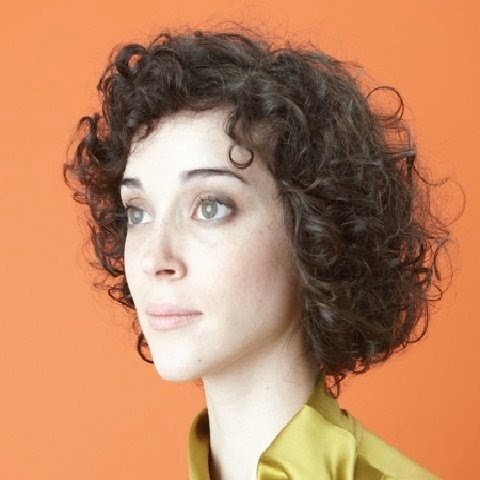 As a multi-instrumentalist, she began her career as a member of the psych/prog choral rock band The Polyphonic Spree and was also part of cult singer/songwriter Sufjan Stevens' touring band before spreading out her wings as a solo artist with the one-woman band St. Vincent in 2006. Annie Clark took her mysteriously odd moniker from a Nick Cave song, which references the hospital where Dylan Thomas died. One of the most original singer/songwriters, and one of the most inventive guitarists, of the last decade, Annie Clark is also blessed with a beautiful, bright, clear and articulate voice, without being flashy or utterly virtuosic. It remains tender and charming in its humility, even when the music reaches its rowdiest peaks. St. Vincent has been compared to many of her pairs, past or present, while her music and vocal performances are less mannered and dramatic than My Brightest Diamond, several light-years more original and idiosyncratic than Florence and The Machine and more talented than the already pretty gifted Bat For Lashes, to name a few of her contemporaries. Besides, there are more brilliant ideas in one of the best St. Vincent's song than in the near entire discography of Kate Bush and Tori Amos together, both names, mostly the former, being far too often namedropped when another female artist appears with an individualistic voice, singular song structures and colorfully textured arrangement. Artists as different as Julia Holter or Courtney Love, and even, hum, Lady Gaga, have been unimaginatively compared to la Bush. But let's not digress further, let's better discover St. Vincent's discography. St; Vincent's own recording career started off extremely promising with her excellent debut album "Marry Me". Something of a musical portfolio where the artist synthesized her own personal and imaginatively composed and arranged version of every musical genres, hip hop, rock, soul, pop, glitch, bossanova, cabaret jazz, blues, industrial, Broadway tunes or even noise without sounding like any of those styles. Sometimes several of them are juxtaposed or fused in one single song while still miraculously making sense musically. The sophomore "Actor" could very much be St. Vincent's masterpiece to date, and a little masterpiece, period. It gathers all the qualities of the debut with tighter arrangement and more focused songwriting. St. Vincent is getting more eccentric and experimental, sonically and structurally, while gaining in density and efficiency. Most songs are built like arias worthy of Broadway or Walt Disney musicals at its best. She also goes harder and harder by creating some hybrid of heavy metal and industrial music on such pummeling bullets like "Actor out of Work" or the instrumental bridge on the friendlier "Marrow". The digital new wave mutant funk of "Strange Mercy", despite all its brilliant sonic wizardry, remains a qualitative impoverishment concerning about everything : composition, arrangement and songwriting. As for the vocal performance, Annie Clark has seldom sounded as convincing, confident and even emotional. It could look apparently paradoxical but "Strange Mercy" is also St. Vincent's most introvert and personal record, somehow Annie Clark's first solo album. However, just like the cover image, the overall production tends to swathe most of the songs into abundant and thickly layered synthetic sounds, sometimes bordering on asphyxiating any sense of feeling or emotion coming out of the instrumentation. Fortunately Annie Clark's voice stays rather untouched. 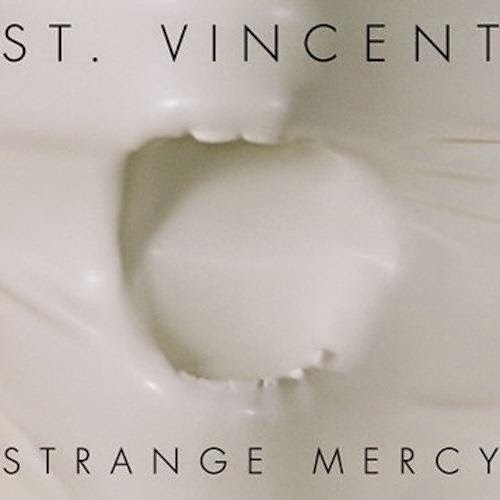 It seems like St. Vincent is slowly drifting towards simplifying her composition while adding more physicality and sound effects, and if "Strange Mercy" can still be very much recommended, the listening pleasure is getting closer to fun than bliss. This promising collaboration between two generations of pop mavericks turned out as a disappointment for the biggest part. On a minor note, anyone expecting St. Vincent to get further into her guitars sonic experiments can just get back to her own records. She has decided to focus on carefully crafted horns and ingenious arrangement. A pretty good idea on paper, the problem being that them horns are so omnipresent all over this album that they begin to sound monotonous after a while, surely considering how academic and soulless they were played, this despite the presence of blowers like Alex Foster (of Saturday Night Live house band and some Mingus tributes), The Dap-Kings or Antibalas Afrobeat Orchestra, to name a few. Besides, it feels like both artists forgot to bring in a real drummer, despite the hollywoodian list of additional musicians. Except for the opener and best track here, "Who", all songs are propelled by drum programmings, which wouldn't be an issue if they were not sounding so mundane and devoid of, well, swing. For the rest, the songs are fine, and Annie Clark's vocals steal the show. 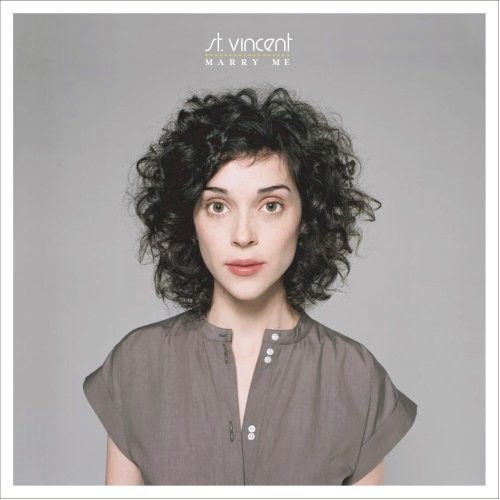 St. Vincent eponymous fifth studio album shows the artist diving even further into overall simplification, and regression, concerning composition, arrangement and song structure, while increasing sound effects to an alarming proportion. The focus is clearly on effects indeed, and appearances, just like St. Vincent's new and horrendous look, some monstrous hybrid of Lady "I'm so avant-garde" Gaga, 70s David Bowie and Klaus Nomi. Annie Clark decided to go totally pop, in her own idiosyncratic way. The guitar is back upfront but most of the time filtered through such an amount of electronic treatments that it merely sounds like another thick, wheezing and buzzing sonic stratum in the middle, above or below all the rest of the generally robotized and compactly layered instrumentation. The production is here at the same time clear and overbearing, crisp and way overcooked, this record feels like layer pastry that was lying in a microwave too long, except again for Annie Clark's voice, the cherry on the blackened cake, which tone is still natural, tender and charming yet more extrovert, almost eccentric at times. The emphasis on effects and appearances, hence on form, wouldn't be an issue if it wasn't to the detriment of substance : composition, song structures, arrangement and performance. Well, let's begin by saying that the album begins rather fine with the catchy electro-funk of "Rattlesnake" and the very Talking Heads/David Byrne influenced "Birth in Reverse" then the lush yet quite robotic ballad "Prince Johnny", maybe one of St. Vincent's best songs since whatever slower track on the second "Actor". Nothing groundbreaking, but it's enjoyable and tasty, and it's only a beginning. The however stripped back first half of "Huey Newton" creates an atmosphere reminding of the Broadway-like fantasies of St. Vincent's first efforts thanks to a pretty vocal melody and performance with dreamy synth lines until hard rock heavy extremely distorted guitars emerge and it all suddenly falls into some mediocre leftover by The Fiery Furnaces for the second part. The three and a half first songs of the album are okay but it turns into a hopeless disaster for the entire next two third of it. "Digital Witness" could just have been on "Love This Giant" disappointing session. "I Prefer your Love", a homage to Annie Clark's mother, is a boring ballad with a pathetic one liner of a nonsensical refrain "I prefer your love to Jesus" repeated ad vomitum. "Bring Me Your Loves" is a nerve-wrecking pop dittie where St. Vincent is forcing her narcissistic pop star ambition to the front, begging to become an even bigger pop star. "Psychopath" is even more nerve-shattering with its pretty repetitive and annoying "ah ah ah ah" crap chorus. It could turn any listener into a real psychopath who would wish to crush this record with his or her platform boots. "Every Tear Disappear" is total horseshit, Annie Clark going onto some half-baked PJ Havey mimicry, the rest is garbage. And then there is the lame closer "Severed Crossed Fingers" R&B balladry in disguise that wouldn't even end up on a low budget Walt Disney cartoon copy closing credits. This is glam-pop/rock for the digital age, and glam-pop/rock of the worst kind. Just like David Bowie on his own early 70s glam era albums, three of four okay songs surrounded by eccentric fillers, the whole wrapped into much charisma enhanced by an overdressed persona. 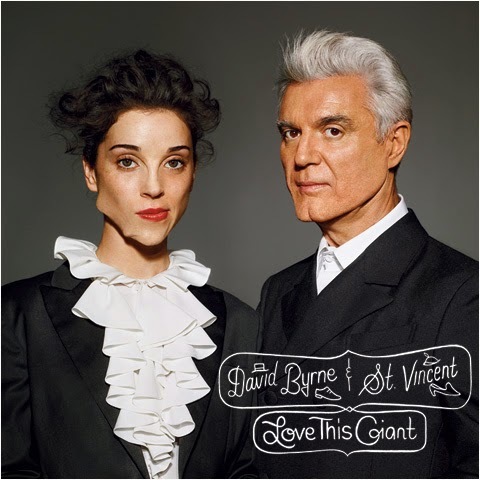 This last St. Vincent's album is another proof that when an artist takes too much care of his or her visual impacts on the audience, the music suffers dramatically. This is all the most disappointing knowing that St. Vincent issued a very sulfurous, high energy, mischievous and mind-blowing two-track 7" vinyl "Krokodil"/"Grot" for the 2012 Record Store Day, which promised way more adventurous music to follow instead of this overcooked polymer pie of an album.